Let's face it: if you roll up at your office car park driving the latest, top-of-the-range Ferrari, you're going to make an impression. It's no wonder, then, that Acer began a partnership with Ferrari a few years ago to produce an office powerhouse that would look stylish and be the envy of all your friends and colleagues. 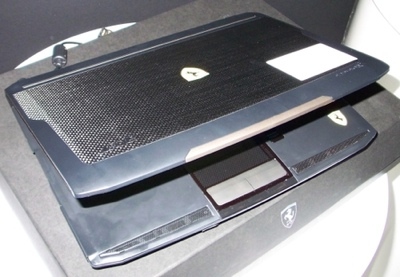 Early models like the Ferrari 3200 from 2004 had the trademark glossy red cover, but the ultraportable 1100 opts for the more modern: a chic, jet-black carbon fibre lid with the logo in the centre and tapered corners. If we were running Ferrari we'd be worried that a potential poll position dream machine had slipped to the back end of the starting grid, due to careless design flaws and a lacklustre pre-race performance tune-up. The Ferrari 1100 is undoubtedly one of the coolest automaker tie-ups we’ve seen in a notebook. Acer has definitely pulled out the stops with its design and has also thrown in some themed accessories such as a Ferrari Bluetooth mouse, microfibre cleaning cloth, VoIP handset and a faux leather case. On the technical side, the ­notebook does well to come with an array of solid components such as wireless draft-n networking, ­fingerprint sensor, slot DVD burner and a 250GB hard disk. However I just couldn’t help being let down by the sound quality, the uncomfortable keyboard and the amount of heat it produced. Still, if you can look past these shortcomings, there’s definitely some appeal in owning a laptop with the legendary prancing horse logo especially if you’re a diehard fan or Ferrari owner. If we were going to shell out £1,400 on an thin-and-light laptop we'd expect more than a few go faster stripes -- we'd want a killer engine under the bonnet too. Unfortunately, that's not the case with the 1100, as the AMD processor and puny graphics chip just don't have the grunt to deliver true supercar performance. Though attractive on the outside, the Acer Ferrari is let down by the ultimate irony of sluggish performance, a bulky chassis and a poor keyboard. When you're spending this amount of money, these are things you shouldn't have to worry about. 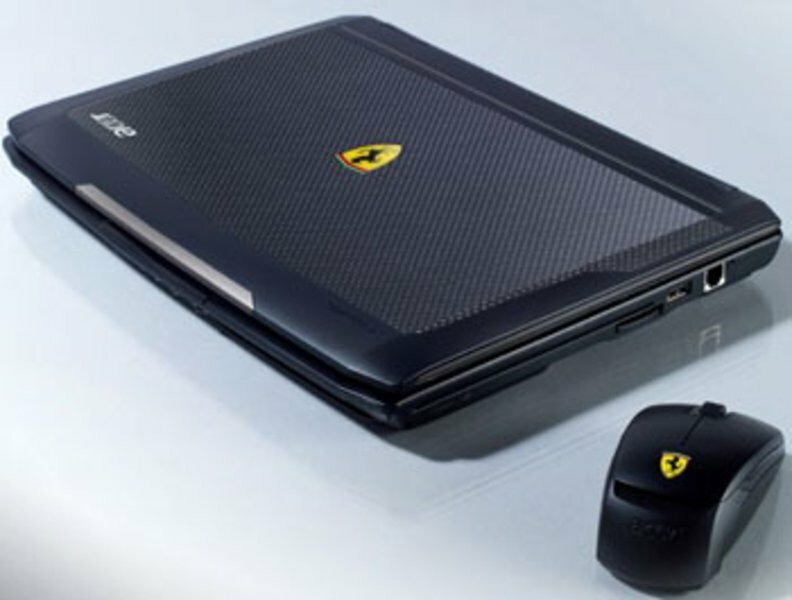 With plenty of attractive and portable laptops to choose from, you must really like Ferrari to invest. 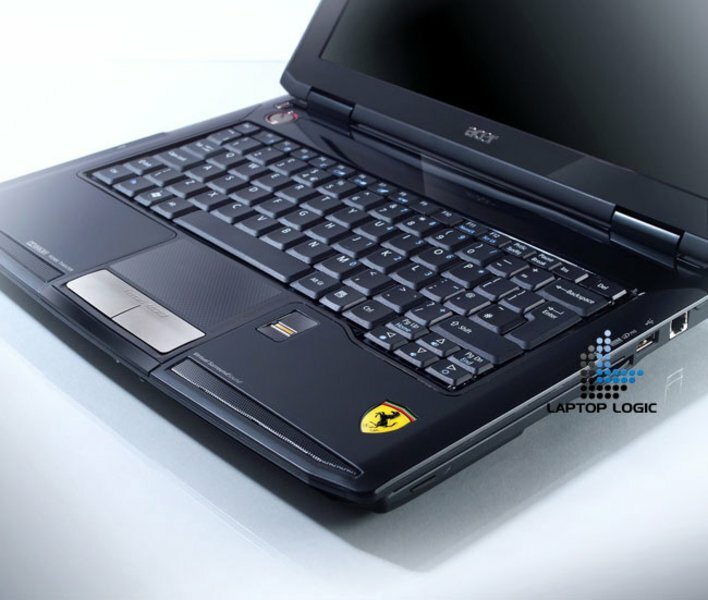 The Acer Ferrari 1100 delivers on supercar-style price, but sadly not on performance. If money isn't tight and you want a reliable, fully featured business laptop with a generous software bundle, look no further. But you don't get much bang for our buck with this one. 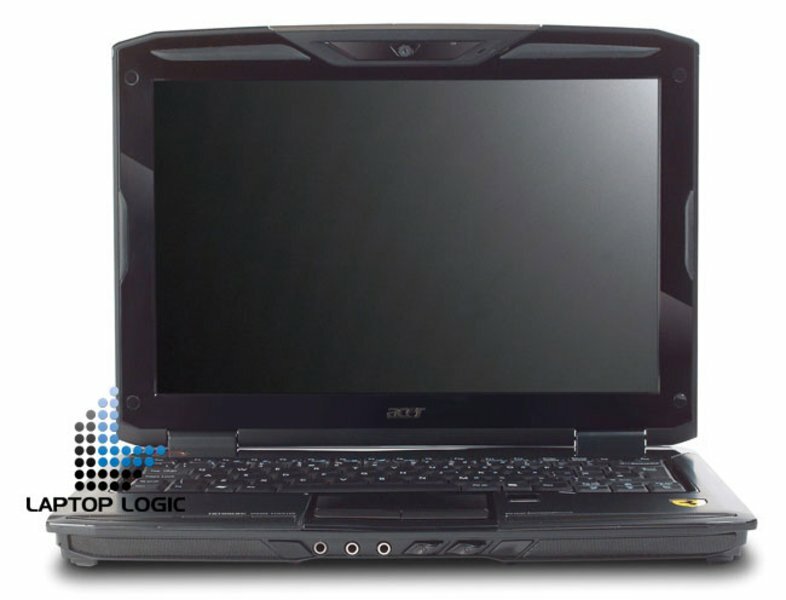 The Ferrari series is the only one of Acer's laptop lines that favors design over price and performance. 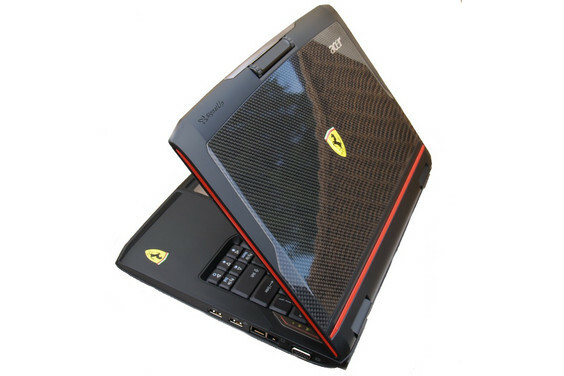 The use of carbon fiber on the lid, the sporty red colors, and the signature Ferrari logo are the details that drew fans to the Ferrari 5000 when Acer launched it. This little Ferrari now packs an optical drive, but it needs a bit more souping up and slimming down to catch up with the competition. 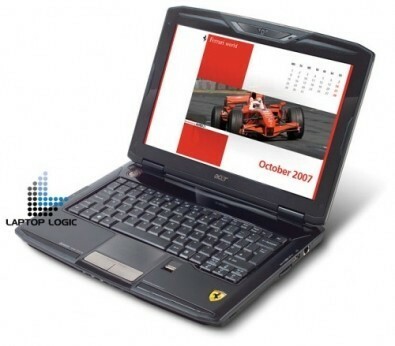 De Acer Ferrari 1100 is een mooie en complete notebook met veel werkgeheugen, een ruime harde schijf. Bovendien wordt de notebook geleverd met een aantal leuke accessoires, waardoor het Ferrari-gevoel helemaal compleet wordt. Jammer genoeg vallen de prestaties een beetje tegen, waardoor dit geen notebook is voor snelheidsfanaten maar meer voor wie een stijlvolle notebook zoekt en daar ook het budget voor heeft. 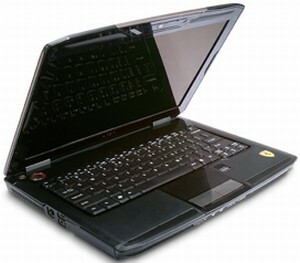 The Acer Ferrari 1100 is certainly a small notebook for those who require a fair amount of power. The processor, memory and hard drive make this a very strong performing system. The drawback to all of this is a system that is fairly heavy and makes it less travel worthy than many other options in the ultraportable market. 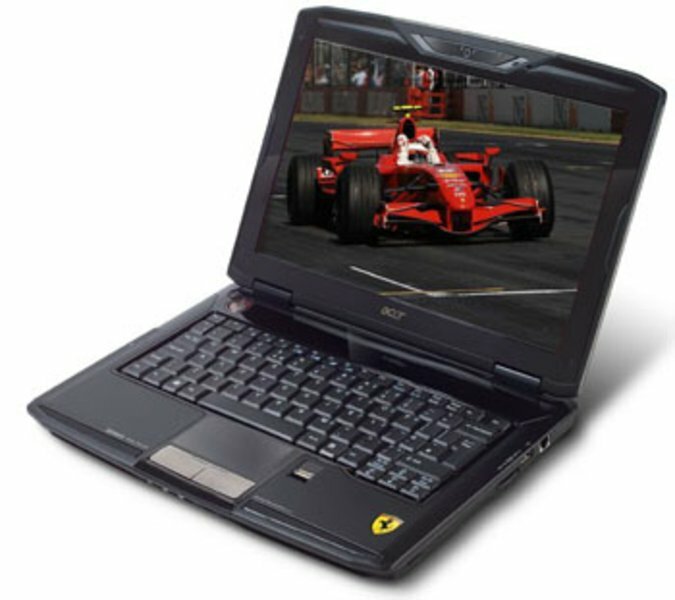 Acer finally adds an optical drive to its blazing 12-inch Ferrari, but it runs out of gas a little too fast. This notebook’s sophisticated design will impress when you travel, and thanks to a fast processor, plenty of RAM, and Windows Vista Ultimate, it delivers plenty of power for mobile users. We’d prefer a lighter weight and longer battery life, but the Acer Ferrari 1100 is a good choice for executives who want to stand out in the crowd. When we looked at Acer's first Ferrari-themed ultraportable, the Ferrari 1000, we liked its car-themed style and strong performance, but were disappointed by its mediocre battery life. 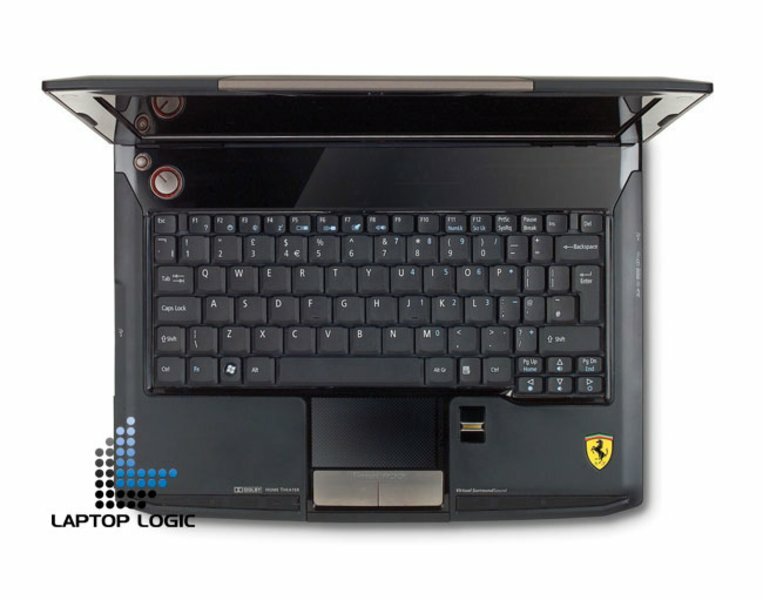 We opened the box of its successor, the Ferrari 1100, with some anticipation--this is, after all, a well-designed, full-featured ultraportable laptop that ought to impress. But alas: Despite its strong components, the Ferrari 1100 posted mixed performance scores and less-than-stellar battery life. The Acer Ferrari 1100 is a stylish, full-featured ultraportable laptop, but its disappointing battery life won't sustain users who spend a lot of time away from the outlet. TL-66: Procesador dual-core producido en 65nm, basado en el núcleo K8. Rendimiento comparable al de un CPU Core Duo con frecuencia más baja con cache de 1MB de nivel 2 (por ejemplo, Celeron Dual Core). 67.82%: Esta evaluación es mala. La mayoría de las portátiles son mejor evaluadas. Esta no es una recomendación para compra.